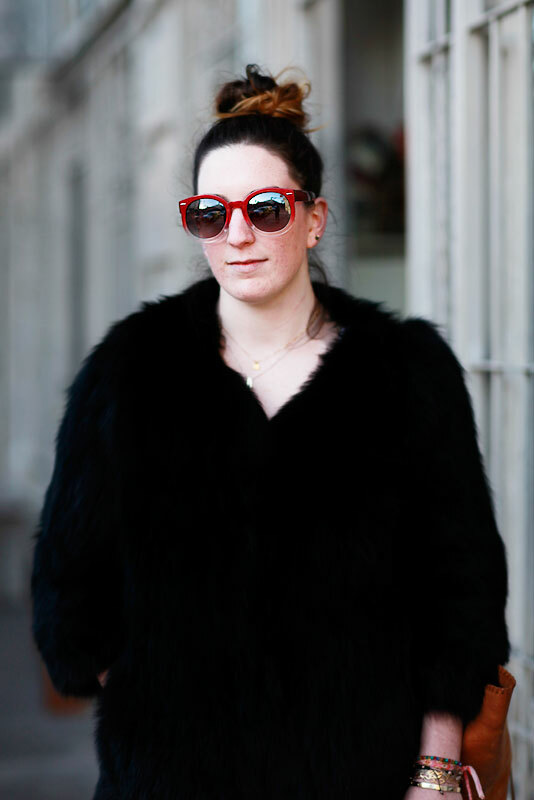 "I've actually been reading a lot of the Man Repeller blog. So, I've just lately, I've been doing that and I used to live in Paris, so I used to buy a lot of clothes there. In the Marais, in this amazing, amazing vintage part of town. Upcoming designers also, just amazing clothes." 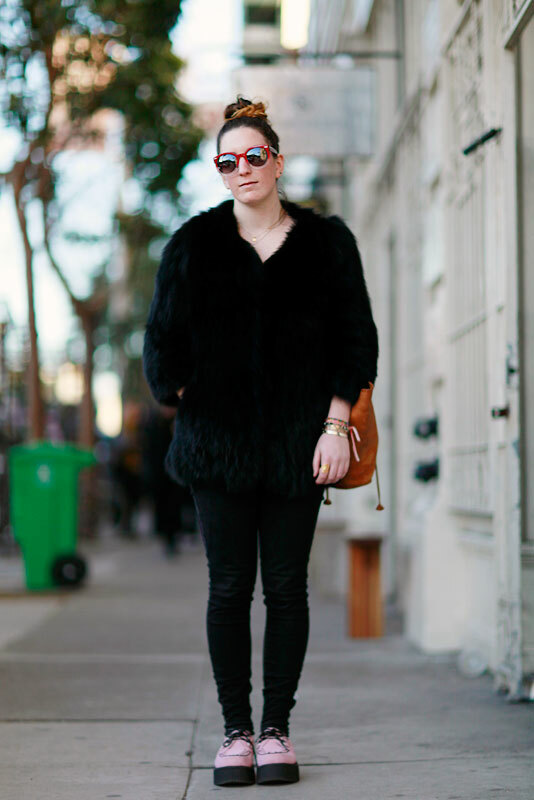 Fluffy black fur coat, black skinny jeans, and pink suede creepers. What else do you need? A close-up of those pink suede creepers. What kind of sunglasses are those? !